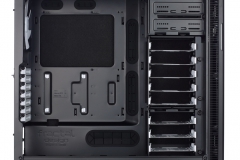 Consistent in attention to detail. 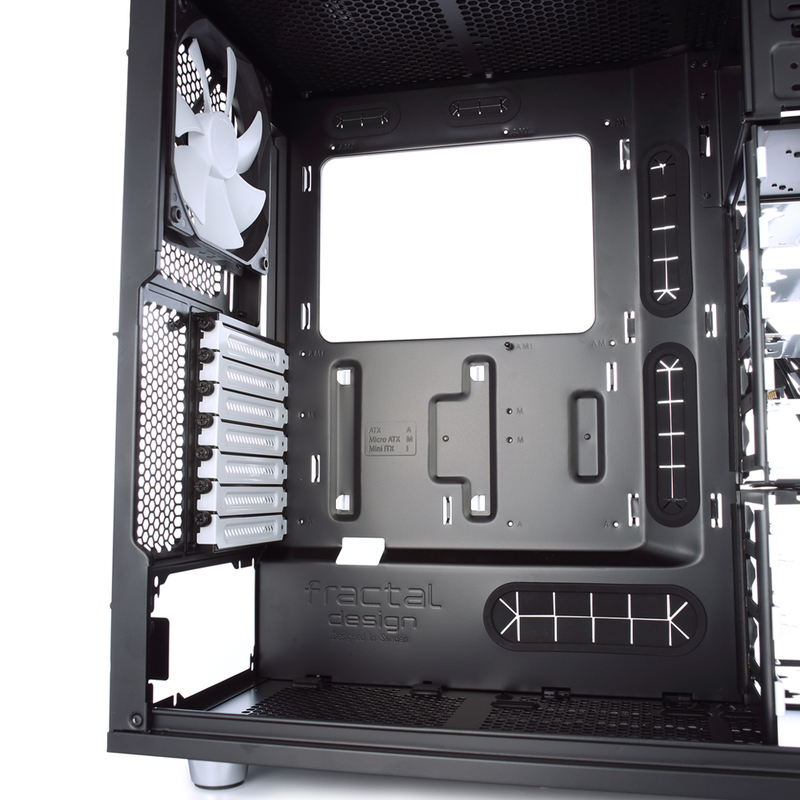 We received our review sample a few weeks prior to launch so we had enough time to really get to know the Define R5 using it in a practical/test build for gaming and some load testing. 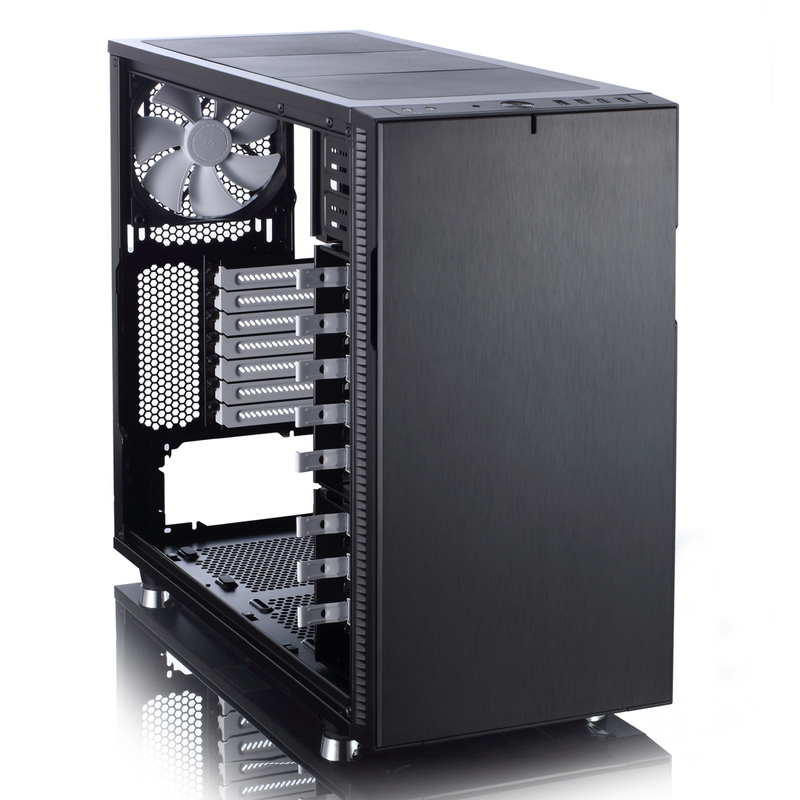 Our review unit is the black version with solid side panel (i.e no window). 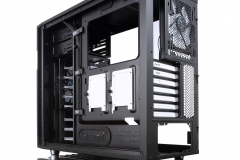 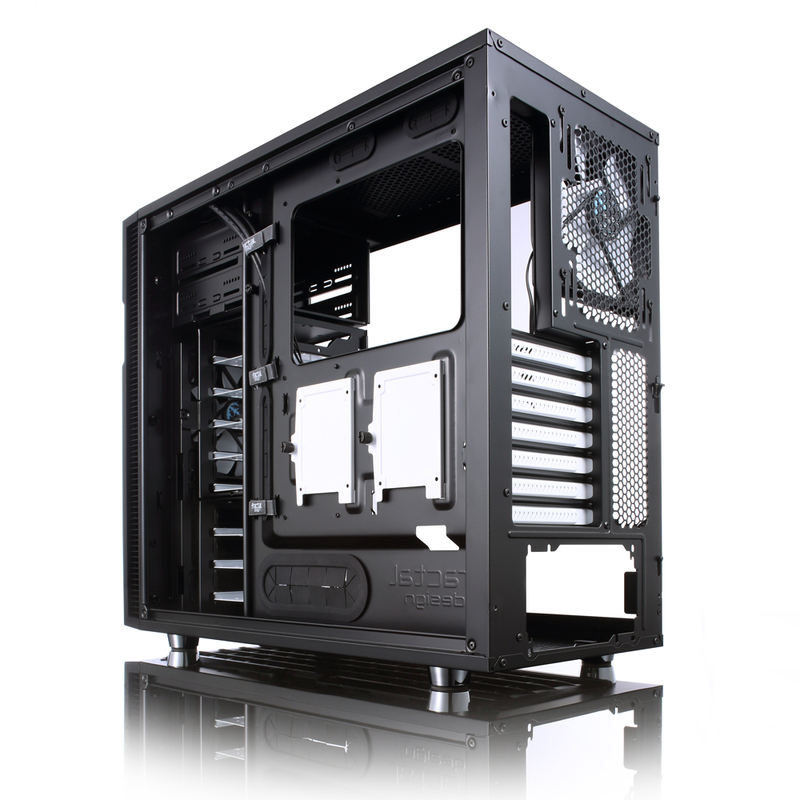 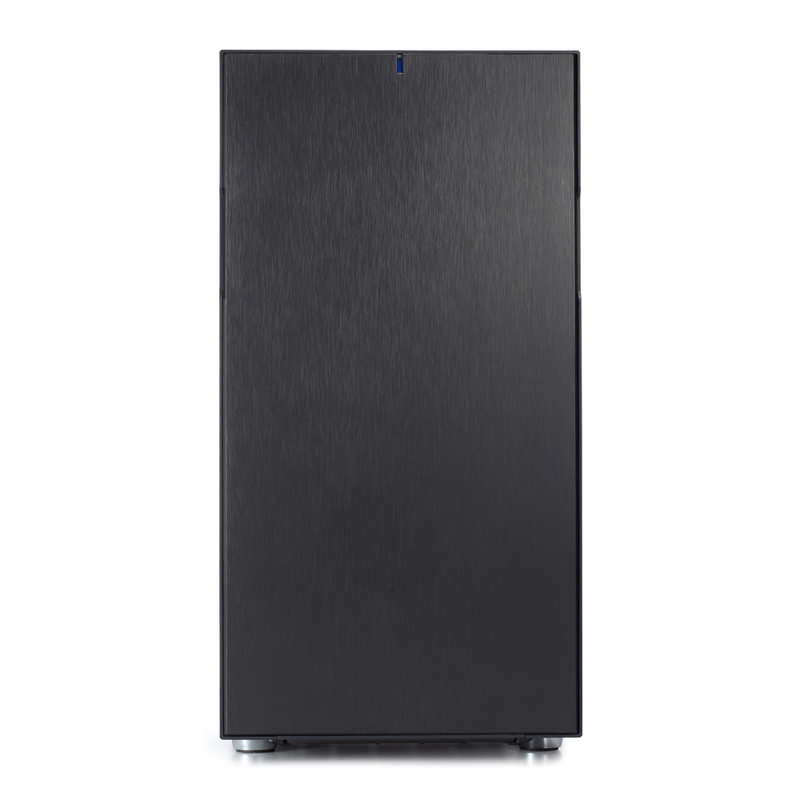 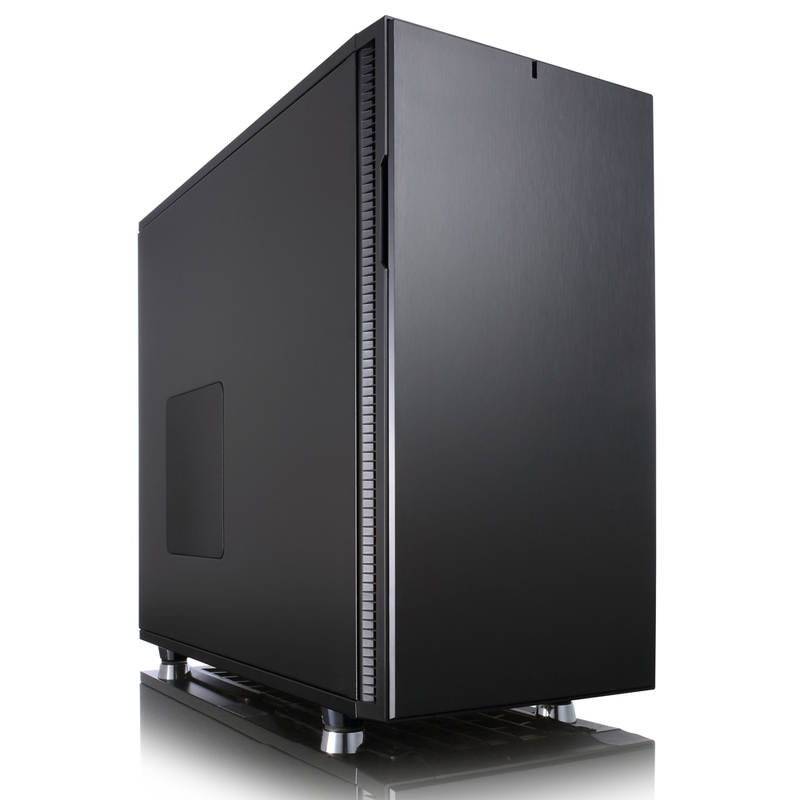 The Define PC chassis is recognisable by its low key appearance rather than trademark bling and known for it’s low noise profile. 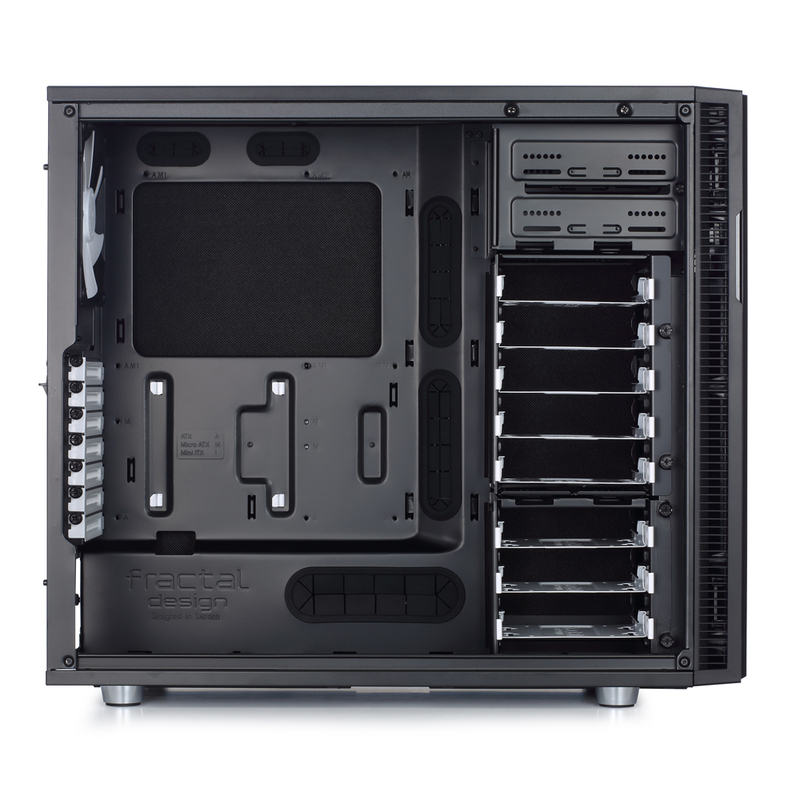 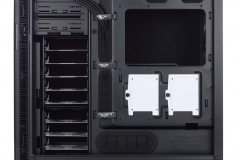 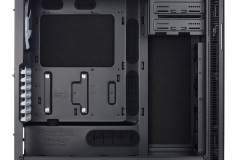 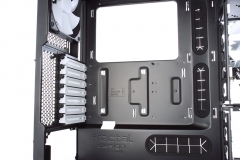 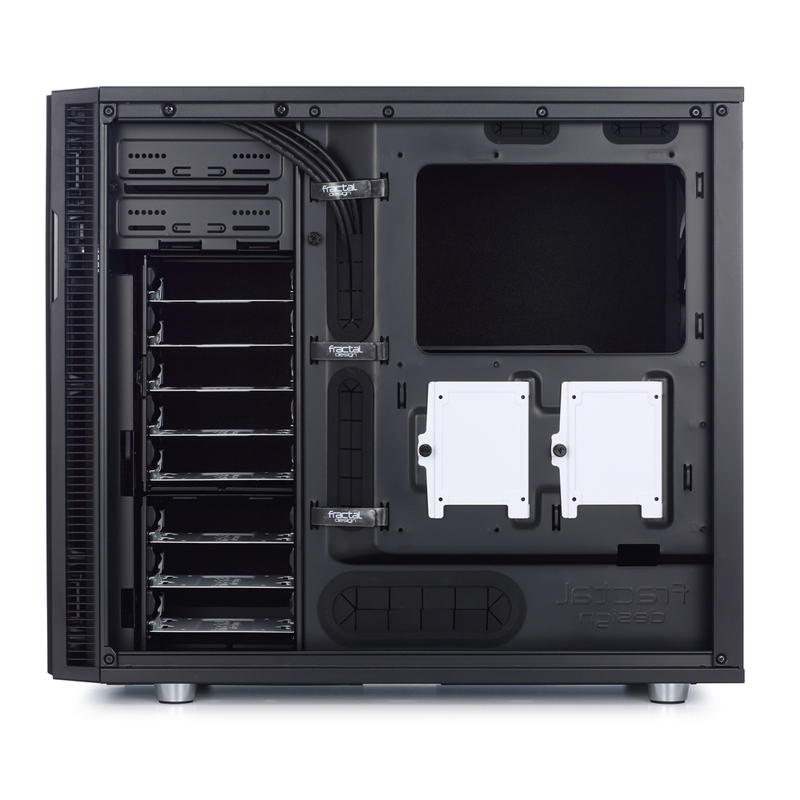 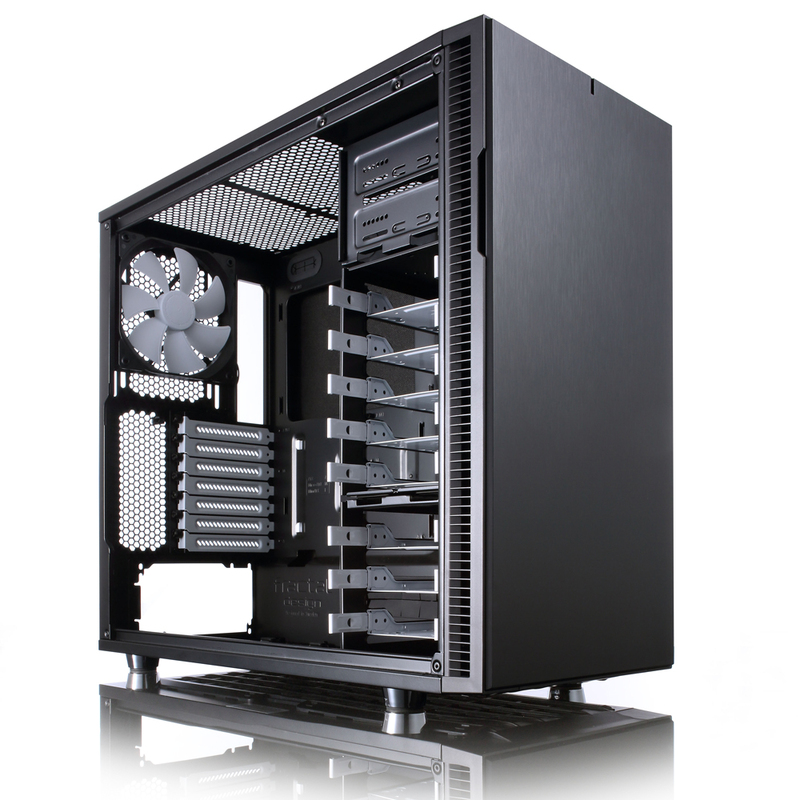 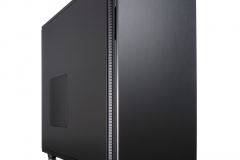 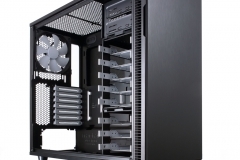 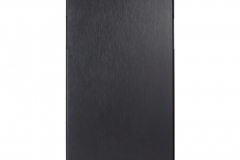 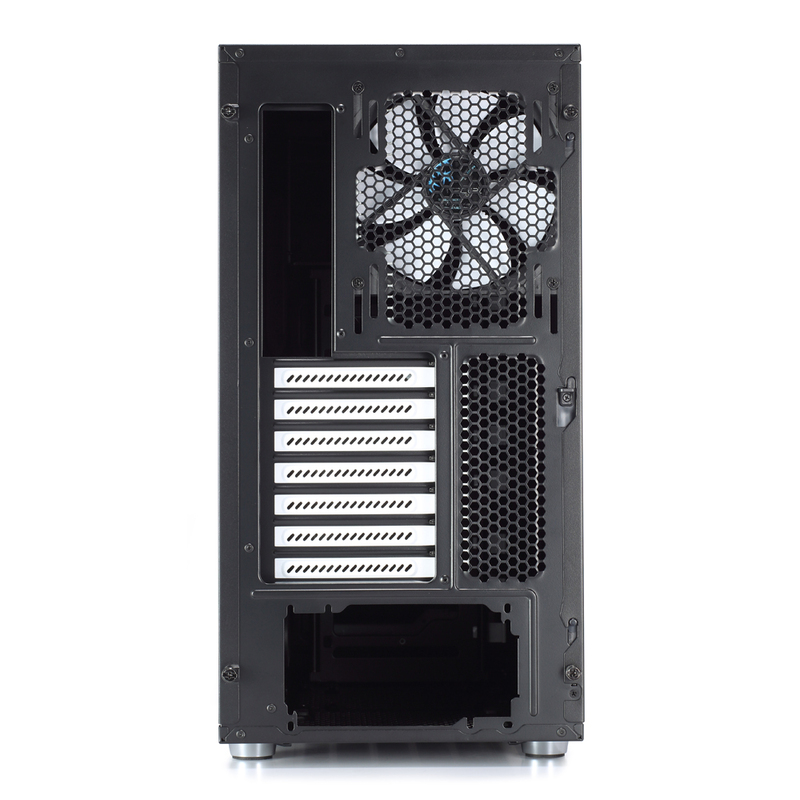 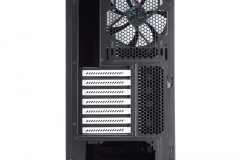 The older Define R3 case was indeed unassuming in appearance and also very quiet but cooling options were limited – The R5 has a remarkable compatibility list when it comes to both radiators, fans, graphics cards and hard drive/SSD placement. The gallery below are the promotional shots from Fractal Design, ours will follow later as we walk through the Define R5.